This luxurious cashmere mix wrap is based on one of our best sellers. Use it as a warm wrap or hang it loose around your neck as a scarf. The Ladies Cashmere Mix Wrap is so light and practical, just store it in your handbag and pull it out whenever you need to. It's perfect for keeping you warm on a flight, in the car, or even on holiday when you get a little chilly in the evening. Available in a limited edition colors. 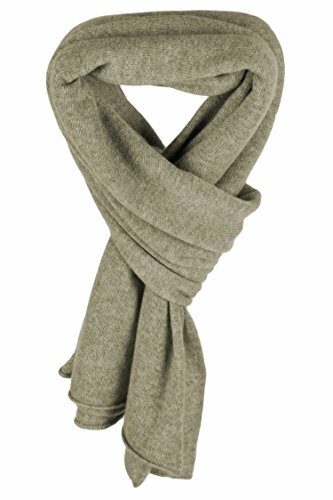 Lightweight, 2 ply Cashmere/Silk/Cotton construction - the combination of cashmere and silk makes this scarf really soft and luxurious!